TubShroom is a revolutionary drain protector which collects every hair passing through. When its a time to clean up, just wipe TubShroom off and go. No more clogged drains. 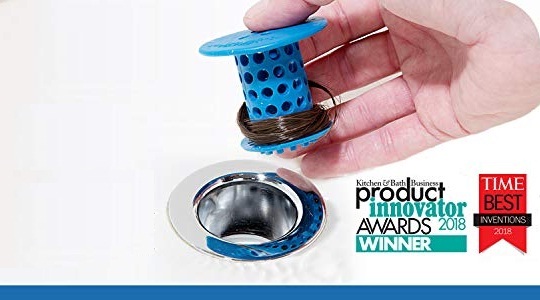 A bathtub drain strainer nicely fits any standard tub drain and guarantees to catch every single hair without disturbing the flow. Not only Tub Drain TubShroom has a wide variety of drain strainer which fits at a variety of applications such as Kitchen sink, bathroom strainer, Stopshroom drain cover, Toiletshroom and so on. Cleaning clogged drains is a mess, TubShroom is the hero you deserve in your bathroom stopping all types of hairs. No more exorbitant bills from the plumber and no more harmful chemicals to clean your drain.